TWO TITANS OF APOCALYPTIC FICTION TEAM UP FOR ONE GREAT NOVEL. 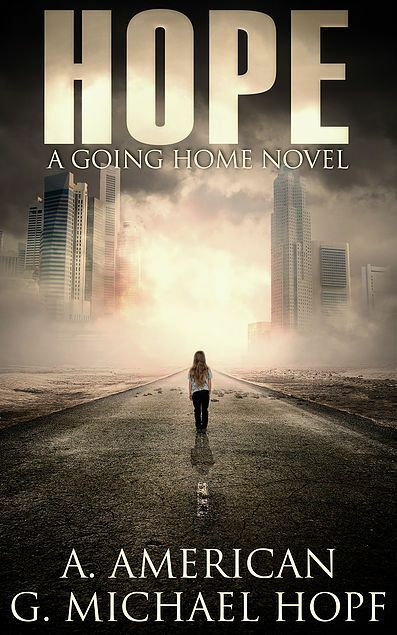 A. American, USA Today bestselling author of the Survivalist series and G. Michael Hopf, international bestselling author of THE NEW WORLD series have teamed up for an apocalyptic tale that will be anything but conventional. Neal managed to survive the initial weeks after an EMP decimated the grid and all critical infrastructures. Using his cunning, skills and mindset, he navigated the harsh new landscape. Life became harder when the weeks turned to months but still he survived. As he settled into his new normal complacency set in with it. At first everything was fine but then the deadly realities came to his doorstep. When tragedy struck all he wanted to do was give up, but a promise he had made kept him going, barely. He was a man without a home, a purpose and more importantly hope. That changed one day along a desolate highway in the desert. There he’d discover a new reason for living.